December | 2008 | Ipoh Mali Talak Sombong! Ipoh Mali Talak Sombong was featured in Feedmelah.com! recently. Read the email interview here. For your information, Feedmelah is a relatively new food blog comprises of the intelligent and humorous trio; Stephen, William and Sue Ann. You can get to know more about them here. As 2008 is coming to an end, I would like to wish all readers and fellow floggers a prosperous and good New Year ahead. Eat, drink and be merry! I failed to make it back to my hometown last year for Winter Solstice but I planned earlier this year. Ipoh was still as quaint as usual but it rained heavily on Friday night and subsequently, also rained on Saturday and Sunday, albeit not as heavy as on Friday. 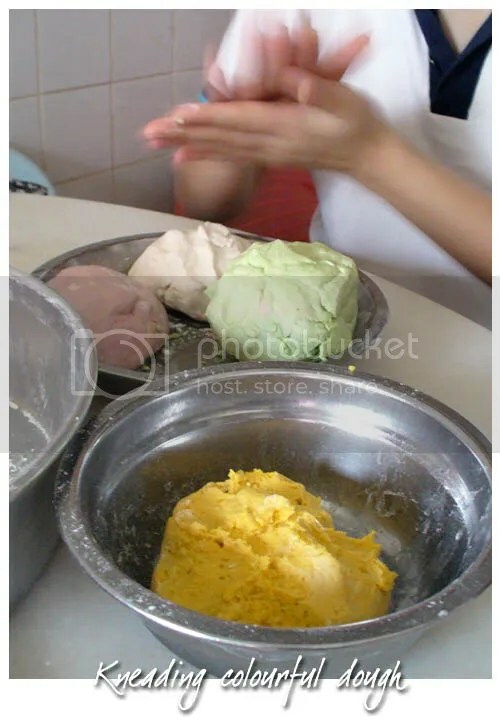 When Sunday morning comes, my sister and I volunteered ourselves for the tong yuen kneading work. 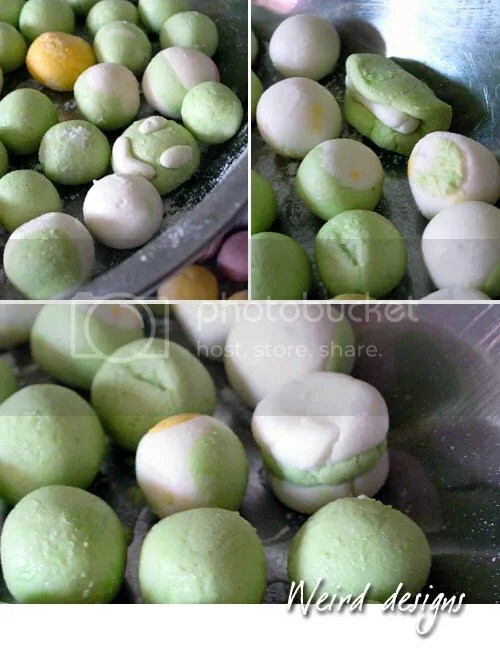 Mom prepared the doughs with glutinuous rice flour, water and colouring (green is solely from pandan leaves juice) on the previous night (which is a mistake cos she kept them in the fridge!). The doughs harden and crumble during kneading process as they became too dry, except the yellow one, which was made from mashed pumpkin. We had to add some water to moisten them. Some people tried to be creative but lack of idea of what shapes to form. Should have make one that resembles rabbit head. Or maybe bigger with plenty of colours like Easter Egg. 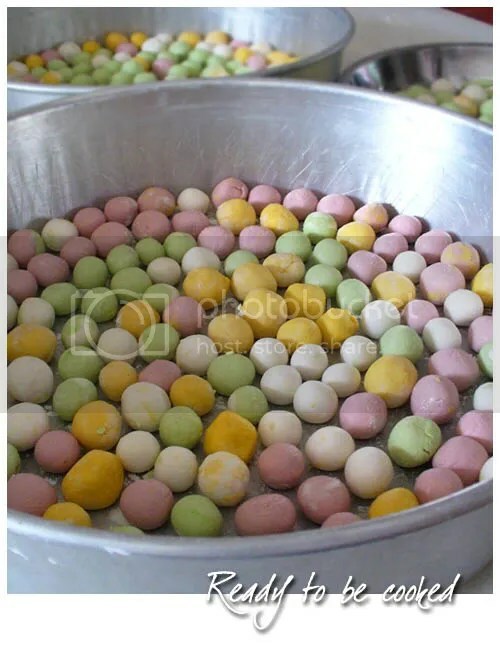 Colourful tong yuen aka glutinuous rice balls ready to be cooked. And the end product, tong yuen in ginger and pandan syrup. My family used to make the sweet type as they find the savoury version weird. It’s my first time trying pumpkin tong yuen. 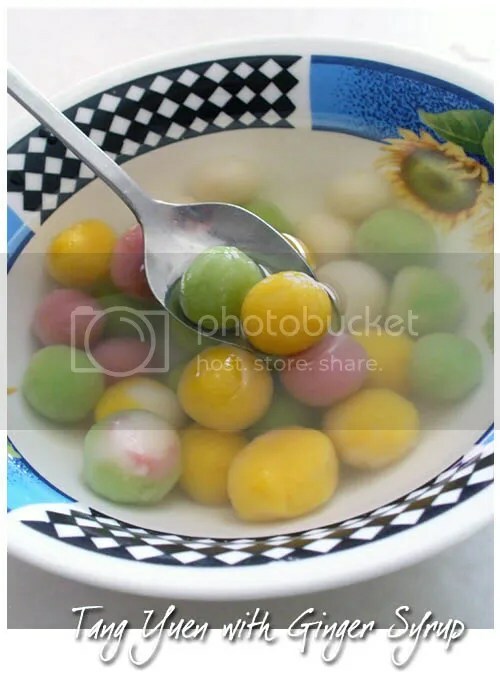 They’re softer and not as chewy as the ones made from glutinuous rice flour but the colour is sharper though. I still like those with black sesame and peanut filling. Ang Kee is no foreign to most PJ folks. 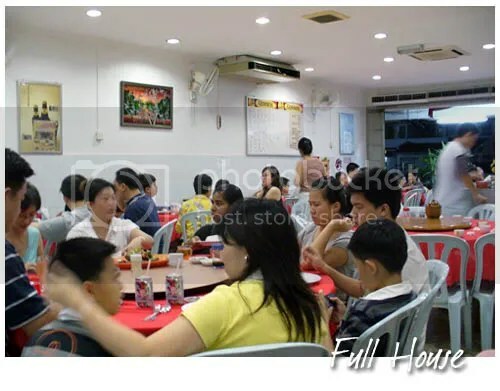 Situated at the same stretch of shophouses with Yu Ai Seafood Noodle and Kayu Nasi Kandar in SS2 Chow Yang area, I finally got to pay them a visit few weeks ago with WMW (the recommend-ator), Cheryl and William for dinner. It was a Saturday night if not mistaken, and the place was packed to the brim. We were lucky as we didn’t have to wait long to get ourselves a table, though and we pass the ordering job to WMW. We had 3 of her all time favourites whenever she drop by Ang Kee. The first dish was the Steamed Beancurd with Eggs, which I think one can replicate at home too. Silky smooth beancurd was steamed and then topped with fried eggs before served. 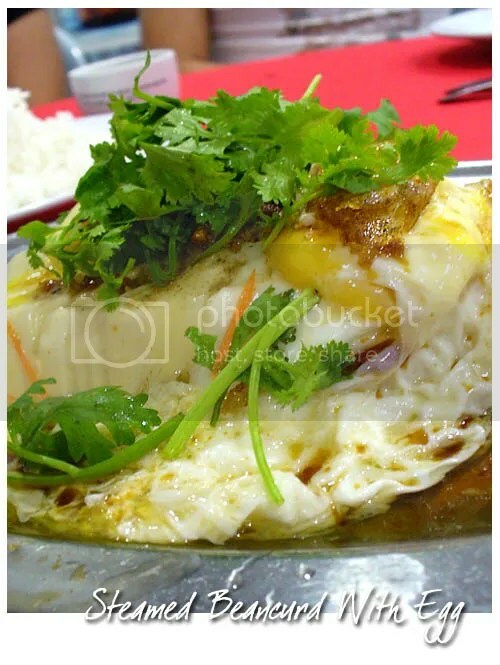 We like this as the yolks were still runny and when you dig in, it’ll drip down on the beancurd and gravy. Simply yummy! By the time the second dish arrived, the three of us agreed that we absolutely have no regrets by passing the ordering job to WMW. 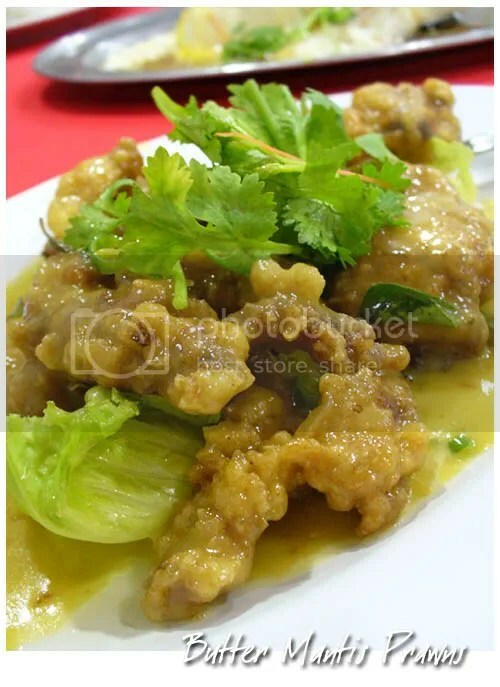 The Butter Mantis Prawn tastes heavenly at first bite; rich, butterly and slightly sweet but it is recommended that this dish to be shared, else the richness will get to you very quickly. 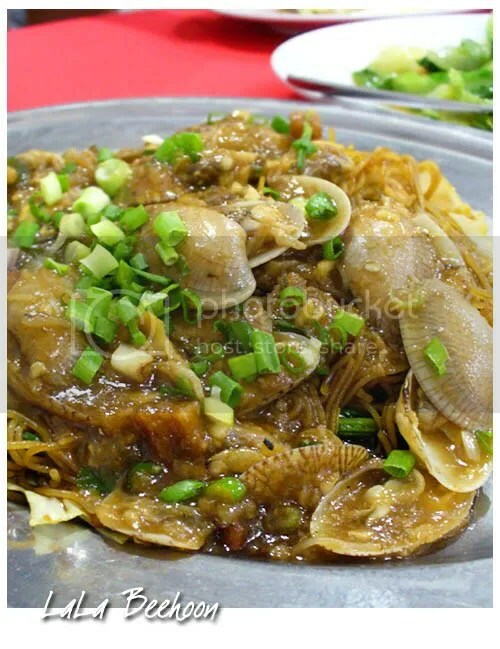 We also had the fried La La Beehoon which came cili padi, dried shrimp and crunchy, fried lard crisps. The beehoon was cooked slightly wet style, full of breath-of-wok goodness and very flavourful. Albeit the noisy environment (which is common with Chinese dai chow), service was pretty quick. Shall come again for the beancurd and butter mantis prawn but of course, with a bigger group too (hopefully!). Thanks to WMW for the recommendation!